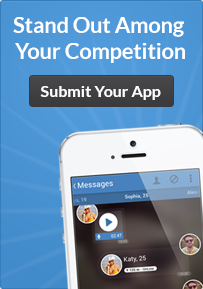 What was your main objective or motivation for creating the Lively mobile app? Dean Graziano, the founder and CEO of Lively was at a local Seattle concert where he saw a ton of phones in the air and thought, “there’s got to be a better way to capture this experience.” A few months later, the Lively app was born. The motivation for the app is to extend the live experience and connect artists to fans in a new way. Lively is a mobile-first, artist-first company. If you could describe the Lively app in ONE word, what would it be and why? Relive. The Lively app allows concert-goers to relive their favorite shows again and again. We extend the live experience and encourage fans to live in-the-moment and rest easy knowing we can capture their favorite moments for them. What is the coolest or most innovative feature of Lively? Lively is not just an app company. In addition to the app, we provide our Lively Audio Manger (LAM) to artists and audio mangers which allows them to easily record and upload their live shows while they’re on tour. Our team then uploads each track to our cloud and releases the set in our app shortly after the show concludes. We are capturing and disseminating a high volume of quality audio and video recordings that fans can listen to through their phone, in the car, on the TV and on the computer. Lively’s entire system is streamlined, lean and easy-to-use. Building a sturdy marketplace where all of the shows can thrive among numerous platforms has been a challenge our team has faced. Because the Lively app has 90 percent of the same code across all three platforms, there is a cascading effect if there is a change or bug that needs to be corrected. Any unexpected surprises post-release of the Lively app? Every day is a surprise at Lively. We are constantly improving the app and pushing the envelope with our product and services. As we continue to gain more Lively fans and artists, we constantly work to adapt the app to meet their needs and expectations. Which operating system holds a larger user base: Android, iOS or Windows Phone? Beats has every feature we intend to incorporate in our app. They also have chosen smart UX paths. What features do you hope to roll out to the Lively app in the future? Our team has been working on an artist admin component to our website where Lively artists can manage their accounts, uploads new songs, change titles and view secured revenue. In addition to the artist log in, we’re focused on improving the app’s offline mode and the artists/venue detail pages.